Ford India’s combined domestic wholesales and exports in April stood at 15,281 vehicles as compared to 25,149 in the same month last year. The company’s domestic wholesales were stable at 7,428 vehicles in April from 7,618 vehicles in the same month last year. Exports recorded 7,853 units compared to 17,531 vehicles in April 2017 due to new model launch preparation for Freestyle. said Anurag Mehrotra, president and managing director, Ford India. At Ford, we continue to execute our strategy of building a strong brand, introduce right products, ensure competitive costs and effective scale. As a result, so far this year, we have continued to grow faster than the industry, despite the new model launch planning in April. 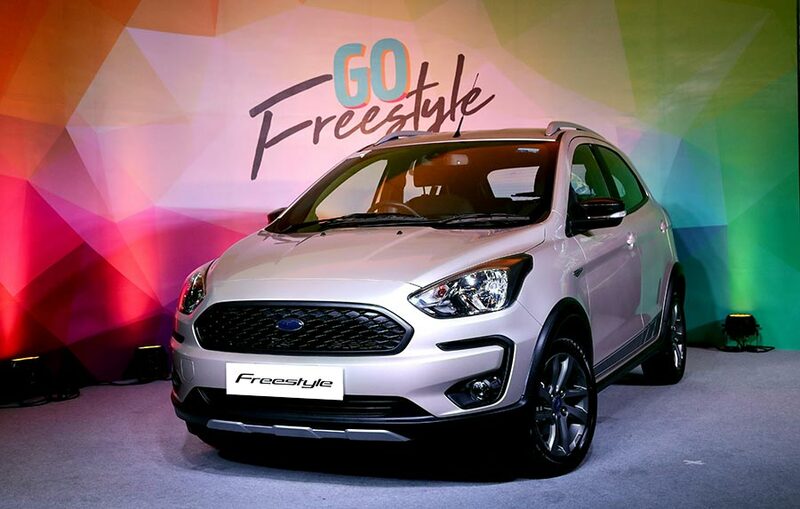 The month of April saw Ford introduce India’s first Compact Utility Vehicle, Ford Freestyle at a compelling introductory price starting from INR 509,000. The all-new global product from Ford combines SUV-like robust design, benchmark performance, innovative technologies and outstanding fuel efficiency – for greater choice to customers. The compact utility vehicle, Ford Freestyle has been introduced with an all-new 1.2L three-cylinder petrol engine, offering best-in-class 96PS peak power and 120 Nm torque. Freestyle will also be offered with Ford’s trusted 1.5L TDCi diesel engine that generates class-leading 100PS power and 215 Nm of torque. Alongside strengthening its product portfolio, Ford also strengthened its efforts in making Indian roads safe and sane. The company joined hands with Indian Road Safety Campaign, Solve (IRSC) to raise awareness of issues like lack of pedestrian safety and lane driving, along with increasing road rage and distracted driving. Under the umbrella of Ford Cartesy, the awareness campaign was led by volunteers from IRSC and reached more than 5,000 students and their parents, during the road safety week in April.